Mindtools can be very helpful for controlling emotions and improving your outlook on life in general. Most people don't think of anger and optimism in the same thought, much less the same sentence. The fact is, however, they are closely related. Being angry includes predicting negative things about other people and circumstances, and optimism means expecting the best from everyone and everything. Whether you know if or not, your mind is brilliant, and now you're going to learn how to use it more successfully. 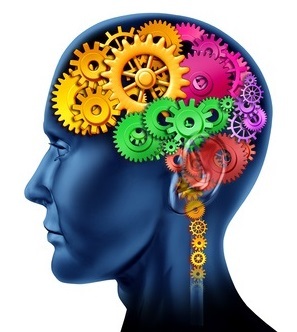 Your mind is a tool, and it is perhaps the most powerful tool you possess. Why not use it to create the health and happiness you want? That's exactly what you're going to do here, and as a result, you will have powerful mindtools that you can use for the rest of your life. The default mechanisms of the mind are survival-based. That means they are based on fight or flight, and are negative in focus. I'll be happy if I can get these problems solved. I'm afraid that these problems will never be solved. I could get these problems solved if those other people would just act right. I can't get them to act right. I expect them to continue acting badly in the future. It's pretty easy to see how this works. When you let your mind focus on the problems, it raises your stress and irritation, and actually limits your ability to use any positive mental skills that you may already have. Watch this excellent video where kids talk about moving from anger to mindfulness. Okay, so what do we do about it? Good question--let's get right to it. Use the "See It Don't Be It" process described on this page. This is a very powerful tool, and I encourage you to learn it and use it regularly. Review your past, and bring your anger into conscious awareness with these journaling processes. This takes anger out of the background into the foreground where you can manage it more effectively. Begin shifting your focus from what is wrong (which feeds your anger), towards what is good, right and working. The above journaling link includes positive journaling processes that will help you do that. These mental tools for better focus and concentration will also help you stay focused on the good things in yourself and your life. These tools and techniques are simple to understand, and yet very challenging to apply. That's why they're so powerful. If you make the effort and use the discipline to use the powerful and effective methods, you will get excellent positive results and become your own best anger management resource. Discover more anger management cognitive methods here. 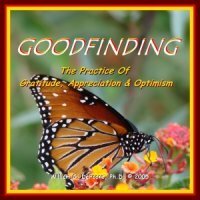 Preview the Goodfinding audio program below, which you will find to be one of the best mindtools available!